One of the most elegant drinks that I’ve ever ordered at a café has been the London Fog, otherwise known as an Earl Grey tea latte. There’s a lot of variations on this popular drink and you get something a little bit different depending on where you go. Allegedly, the drink originates from Vancouver, British Columbia, Canada (as per its Wiki page). 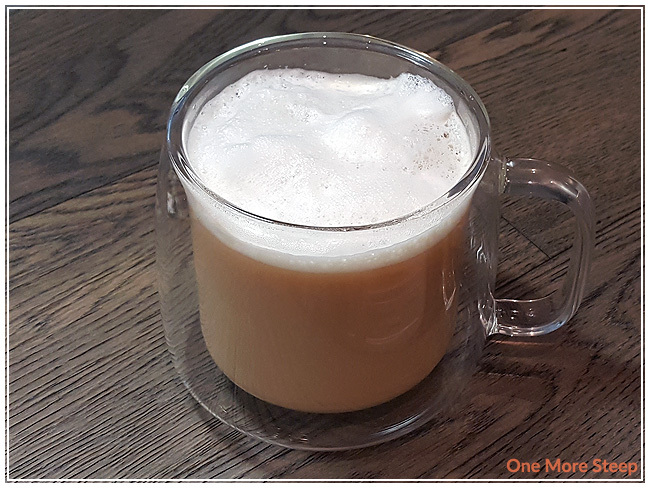 Today, I’m sharing my recipe for a London Fog which has everything I love in a good tea latte – made with a bit of vanilla extract and a homemade Lavender Simple Syrup. Steep the Earl Grey tea to your liking – you want it to be stronger than you’d usually drink Earl Grey straight. Stir in Lavender Simple Syrup and pure vanilla extract. Froth milk – either with a dedicated milk frother, frothing wand, or with a mason jar (my personal favourite method). Pour milk into your cup of tea, spoon foam over top. I’m using a 600mL double-walled latte (or soup) mug (pictured above). If you’re using a different size cup than I am, I essentially aim for approximately two-thirds of the cup for the tea and one-third for the frothed milk & foam. 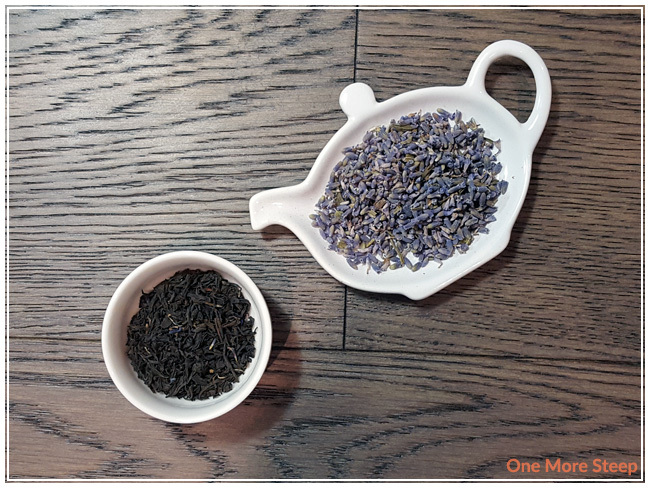 I find that ratio works best for my tastes when it comes to tea lattes, but you might find it needs more or less tea – experiment and figure out what works for you! * You can make more or less simple syrup depending on how often you want to have a London Fog, as long as you use equal parts water and sugar. 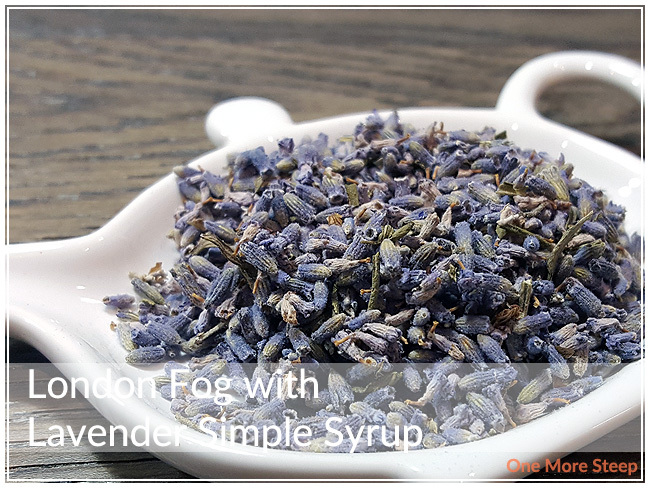 You will want a clean jar/bottle on hand to store the Lavender Simple Syrup. Combine sugar, water and lavender buds in a saucepan and place over medium heat. Allow the syrup to simmer for 1-2 minutes, then remove from heat. Once cooled, strain/remove lavender buds. Pour the Lavender Simple Syrup into an jar or bottle and refrigerate. 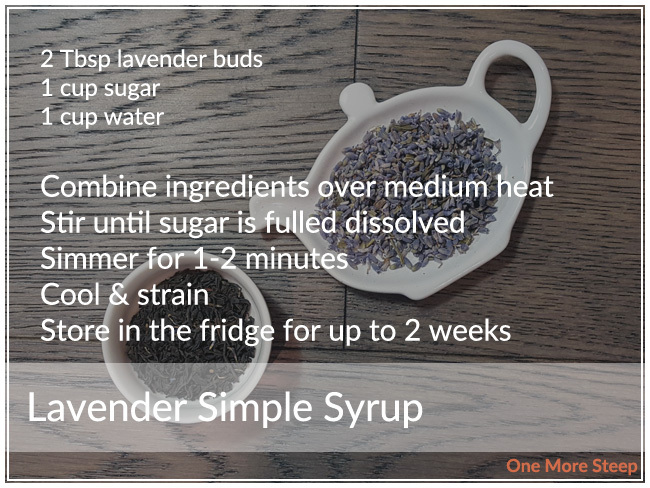 The Lavender Simple Syrup will keep for at least 2 weeks in the fridge – don’t forget to label it with the date!